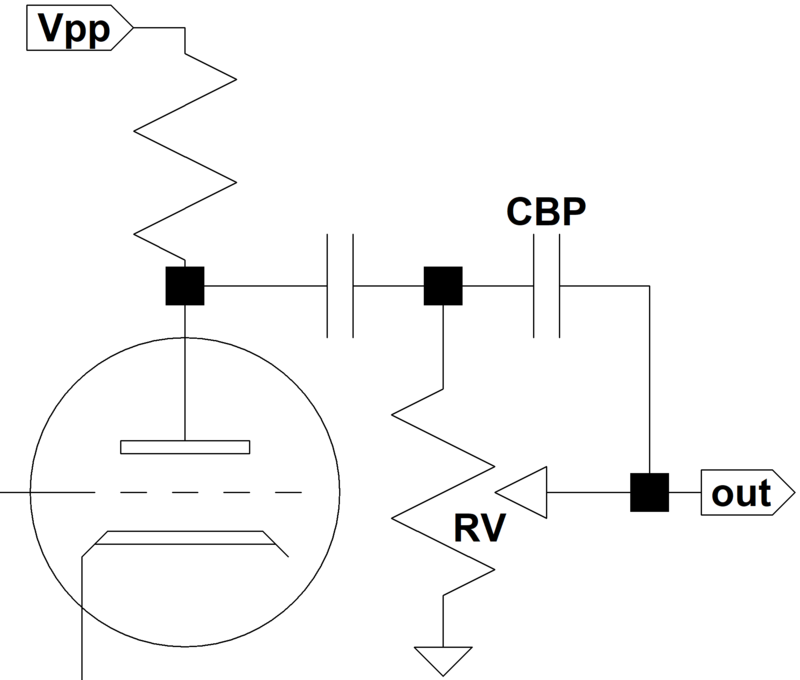 The key components of this bright-boost circuit are the volume control RV and the bypass capacitor CBP. Bass frequencies are attenuated by the volume control's voltage divider effect, but treble bleeds past via the capacitor. The capacitor has no effect with the volume control set to maximum. It has the most effect at low control settings, when brightening is the most desired. The calculator plots gain versus frequency based on the capacitor value and the volume control setting. It does not account for coupling capacitor bass attenuation.